I’ve been crossing borders (and time zones) this week. The Miño or Minho river to be precise (depending on whether you are in Spain or Portugal). With Galicia’s Rias Baixas and Vinho Verde’s Monção e Melgaço regions either side, it’s fertile ground for Albarino/Alvarinho fans like me. 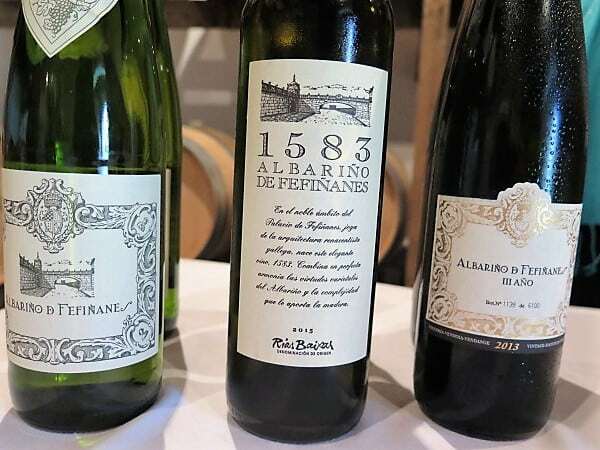 Last year’s visit to Rias Baixas to speak at the Instituto Galego do Vino‘s Atlante Wine Forum really fired up my enthusiasm for Rias Baixas’ varied expressions of Albarino, while introducing me to the region’s much rarer reds. An enthusiasm which I’ve much enjoyed sharing this last couple of days leading Arblaster & Clarke’s Galicia/Vinho Verde/Douro tour. 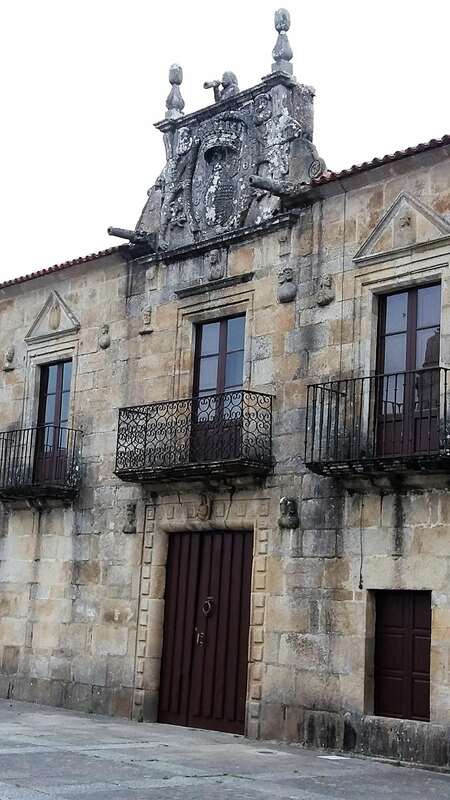 Today we head down to Rias Baixas’ O Rosal sub-region before crossing the river to visit with Quinta de Soalheiro in Melgaço, Vinho Verde for the ultimate Albarino/Alvarinho compare and contrast. Yesterday’s visits focused on Rias Baixas’ Val do Salnés sub-region, taking us to one of the region’s oldest producers, and one of its more recent players. Bodegas del Palacio Fefinanes (founded in 1904) focus exclusively on the Albarino grape, making four cuvées, of which we tasted three. (Only 633 magnums were made of the fourth – new addition Armas de Lanzó; it was aged on lees in stainless steel, then aged in 500l oak barrels). Palacio Fefinanes is the classic, cool fermented, early bottled example which sees no oak or lees contact. It is high on perfume and, in 2016 (a sunny year), has impressive fruit intensity without sacrificing freshness. Fermented and aged for around four months on fine lees in older French oak barrels with batonnage, 1583 2015 was much more subdued on the nose. It’s all about the palate (structure and complexity), with its complex spicy, nutty, fennel-edged apricot, firm under-pinning of acidity and salty, mineral finish. It seems drier. More serious. 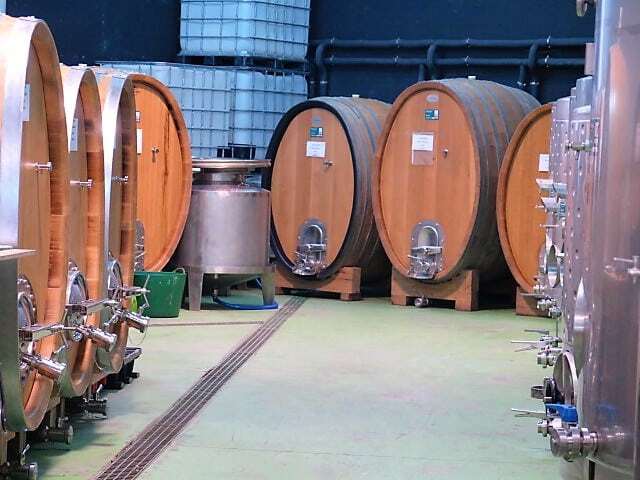 As for III Año 2013 (so-called because it is bottled in its third year), the estate’s small parcel of old vine fruit undergoes lengthy ageing in 2000l stainless steel tanks (it sees no oak), with 9 months on lees with batonnage. It produces a powerful, creamy, peachy wine which, compared to its racier siblings, feels more ‘slow mo’ of delivery. The acidity is present, but more integrated – on the backfoot. Like the 1583, with time in glass, it becomes more mineral, quite salty, similarly with a flicker of fennel. Sulphur (minimal) is the only addition at Forjas de Salnés (founded in 2005). The Albarinos are more pared back and mineral. 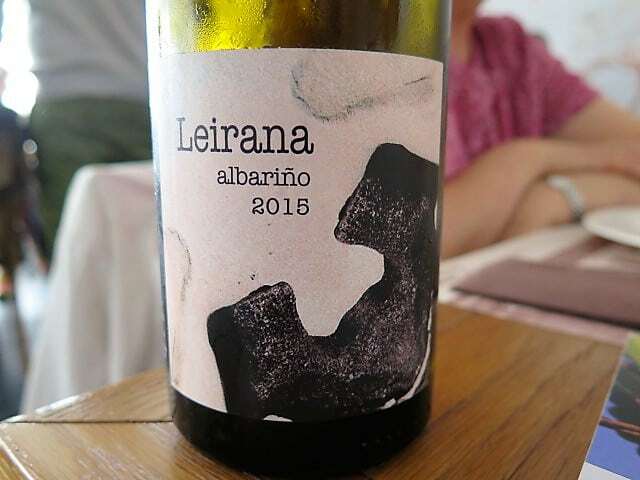 The nose of entry level Leirana 2015 & 2016 sign-posts the freshness and bite of the palate – all crisp and crunchy apple/apple skin and core and steely grapefruit, the 2016 showing a modicum more richness. 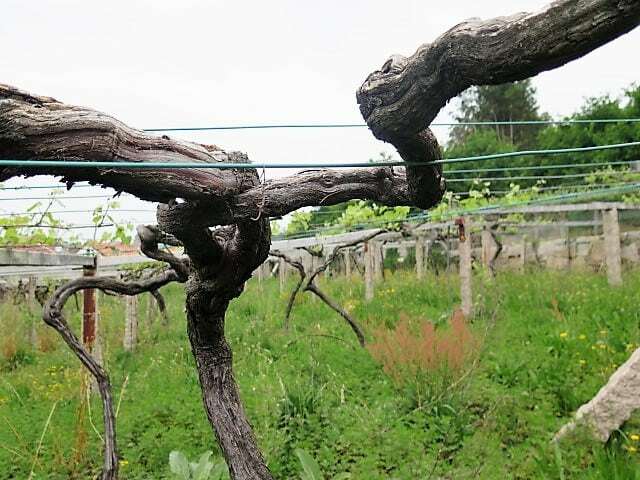 It is a blend of different parcels whose vines range between 50-90 years old, according to their maker Rodri(guez) Mendez. They are mere striplings compared with the source material for Finca Genoveva 2015. This single vineyard Albarino cuvee comes from vines averaging 180 years old. It is a potent, penetrating wine, which leaves its mark on your palate yet has a levity – great elegance and precision about it. 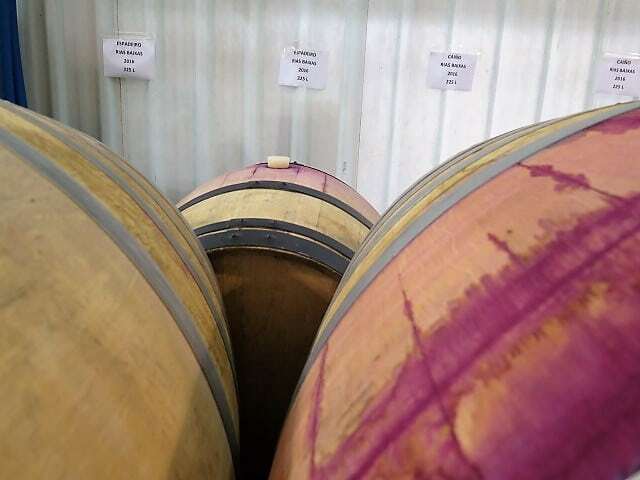 We also tasted the 2016 from one of two oak foudres’ worth of production (pictured top). It looked fantastically promising, with terrific intensity, minerality and length to its firm, quince and apple sauce palate and a lick of fennel. Over lunch at his favourite local restaurant, Casa Aurora in Sanxenxo (excellent), Mendez was candid about his preference for these Albarinos over Cos Pez, his foot-trodden Albarino, which undergoes lengthy skin contact. 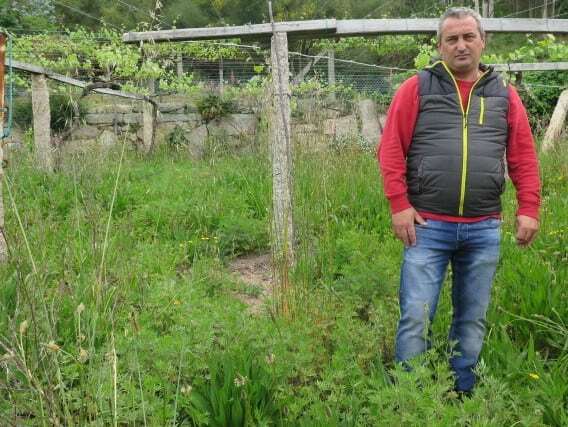 For him, the process overrides the variety and terroir. That said, though spicier and more vegetal, I thought the 2015 vintage shared the searingly fresh, firm, mineral profile and palate presence of the others. Great tension. Mendez’s Albarinos seems to harness the Atlantic – all energy (bracing acidity) and salt. Interesingly, Mendez originally intended solely to focus on reviving the local red grapes, Caino, Espadeiro and Loureira Tinto. Since he made his first in 2005, the number of producers making reds in Rias Baixas has shot up from 2 to 15. If Mendez’s Albarinos don’t major on perfume, his reds (all of which see whole bunch) do. They are lifted, super-fresh, elegant and mineral with dancing white pepper, subtle green and spice notes (capsicum and clove) and vivid fruit. Bastion de Luna 2015 – a blend of all three – shows vivid yet delicate sour cherry and crunchy red currant fruits. Smoother and paler with an air of Pinot Noir-like refinement, Goliardo Caino 2013 from +150 year old vines shows cusp of ripeness red cherry, pellucid plum, pimiento pepper, hints of pine needle forest floor and glimmering mica crystal minerality.